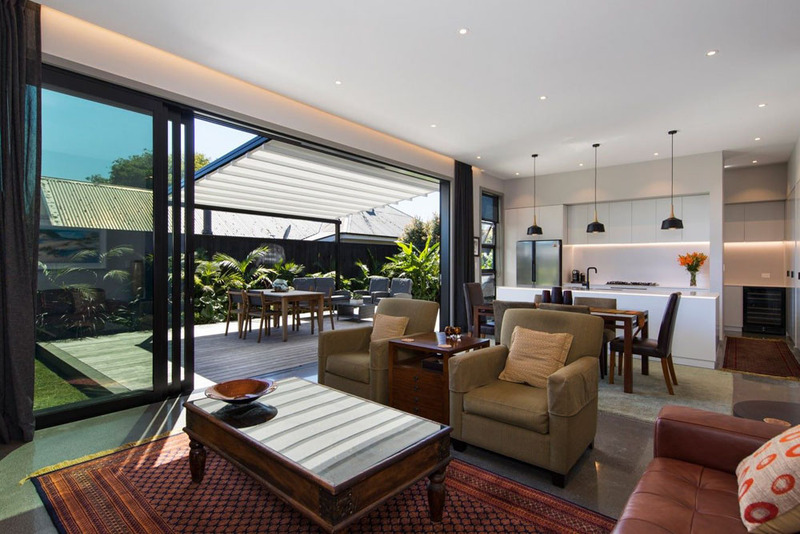 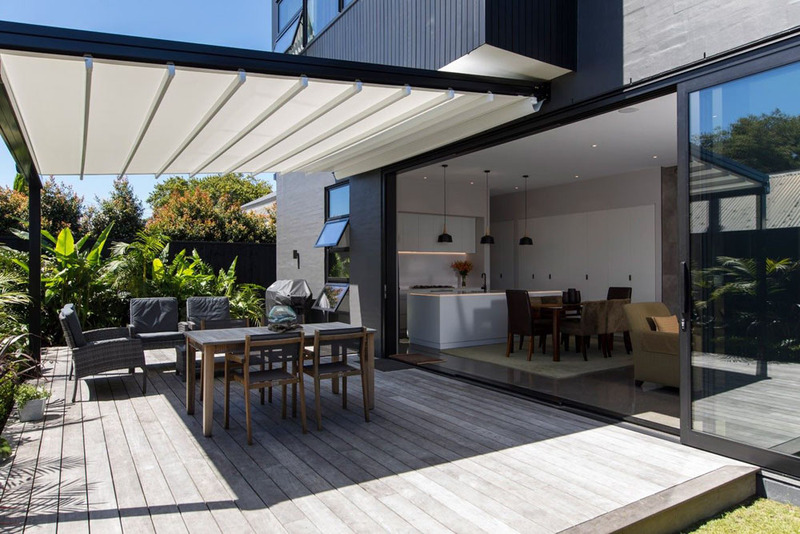 The ultimate in versatile outdoor living, retractable roofs provide the option of having your living area open to the stars or protected from the sun and rain. 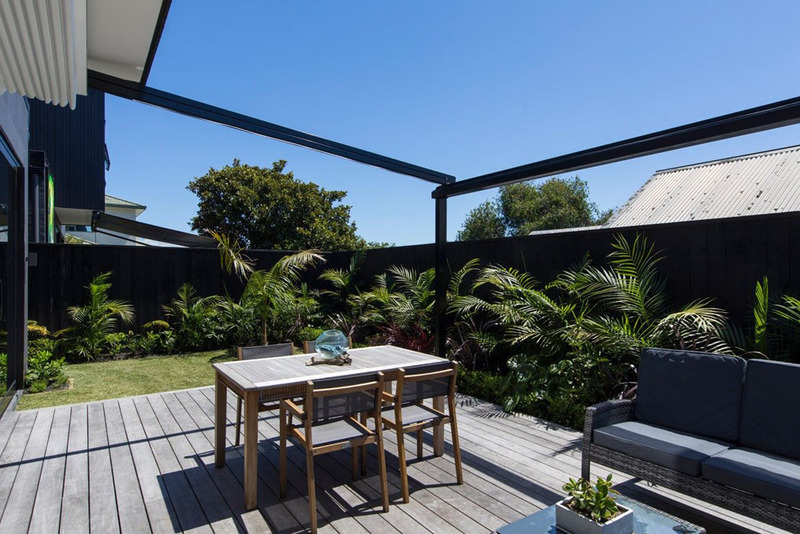 With the addition of our outdoor screens, you can create a flexible, custom-designed space that can be adjusted to suit the light, heat or wind. 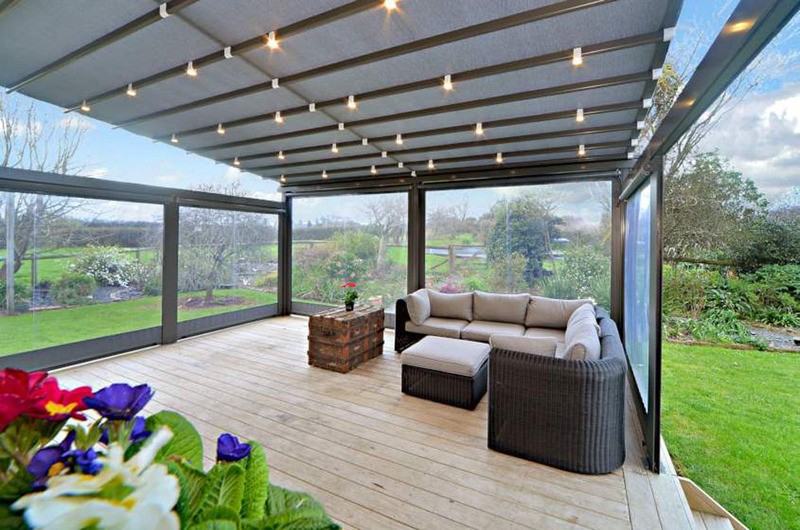 At Douglas, we proudly use the Oztech range of architectural, retractable pergolas and roof systems. 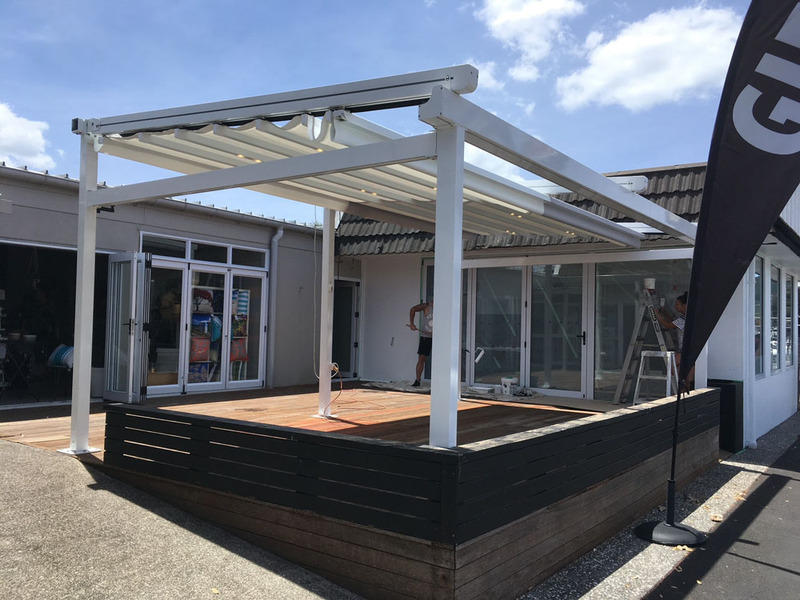 Whether you’re looking for a retractable pergola for your outdoor living area at home, or a custom-made roof system for a restaurant, bar or commercial project, we can create a solution to suit. 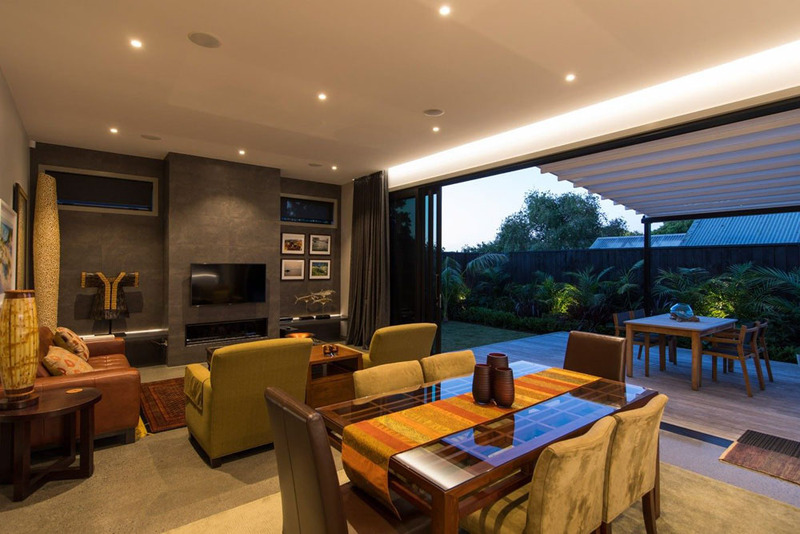 A single Oztech system can create up to 130m2 of stunning outdoor living space, with motorised controls and the option of atmospheric LED lighting, it can be customised to enhance your property and your lifestyle. 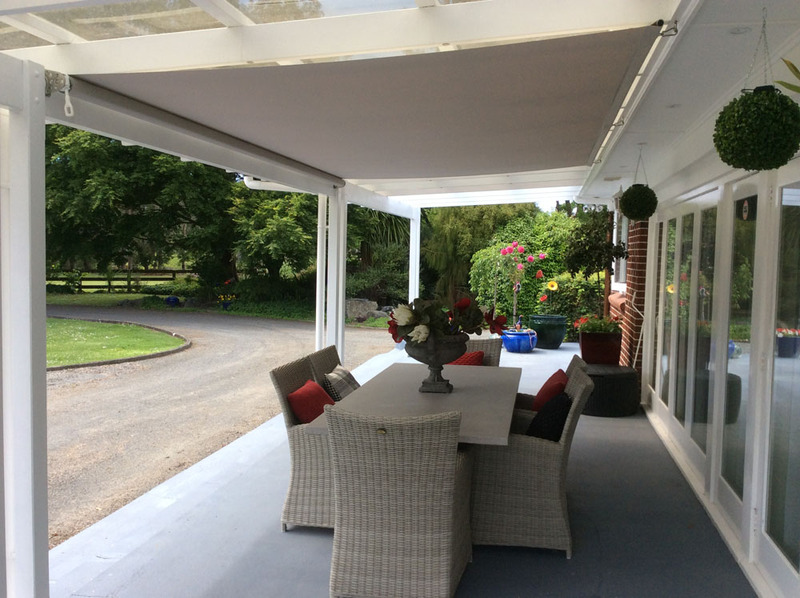 A fully customisable Wave Roof fits perfectly over your outdoor living area in a series of beautiful billows. 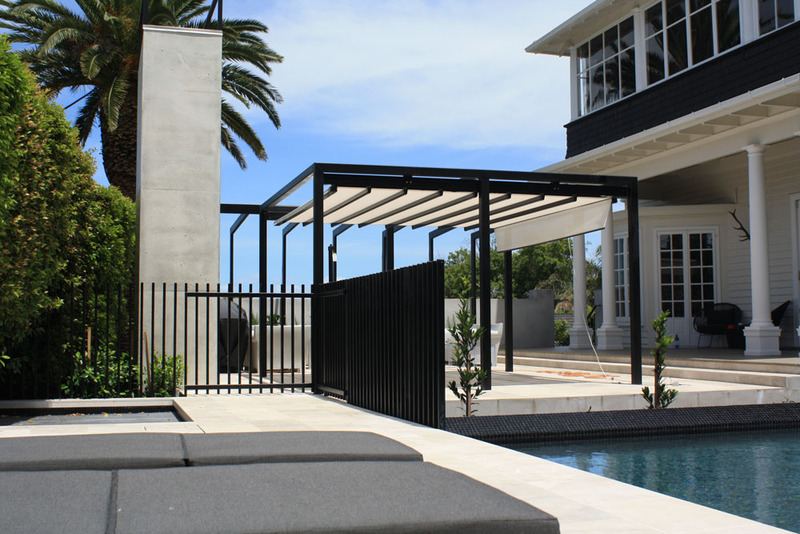 With an easy-to-use design, offering both sun protection and the ability to completely retract the cover, a Wave Roof can be attached to your house, an existing pergola, or over a deck to create a bespoke outdoor living space. 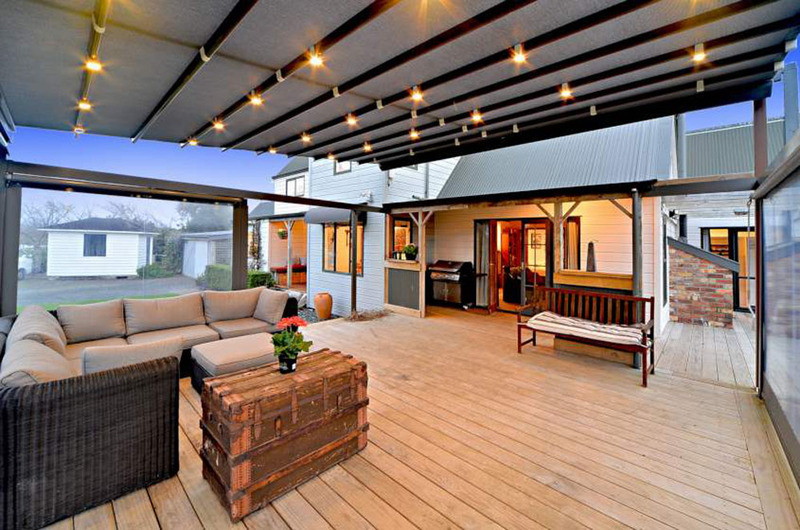 We can also craft a shade solution for your existing pergola. 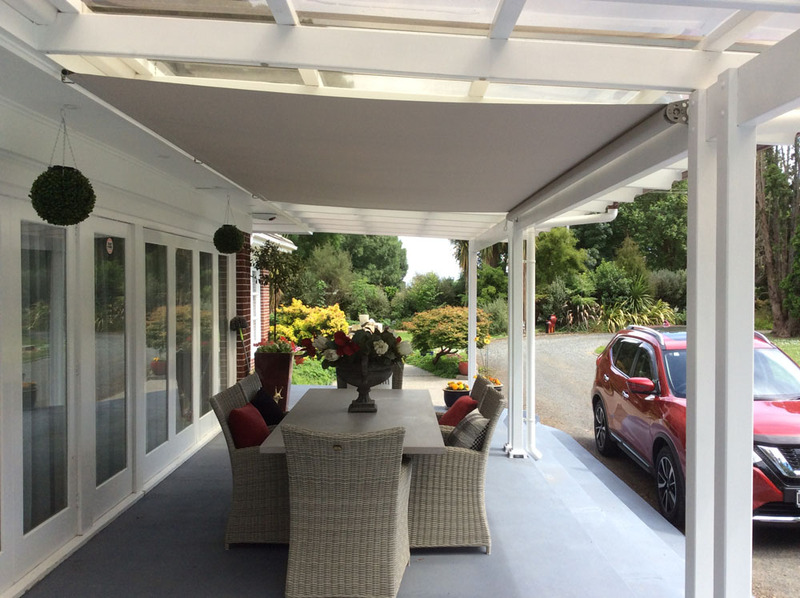 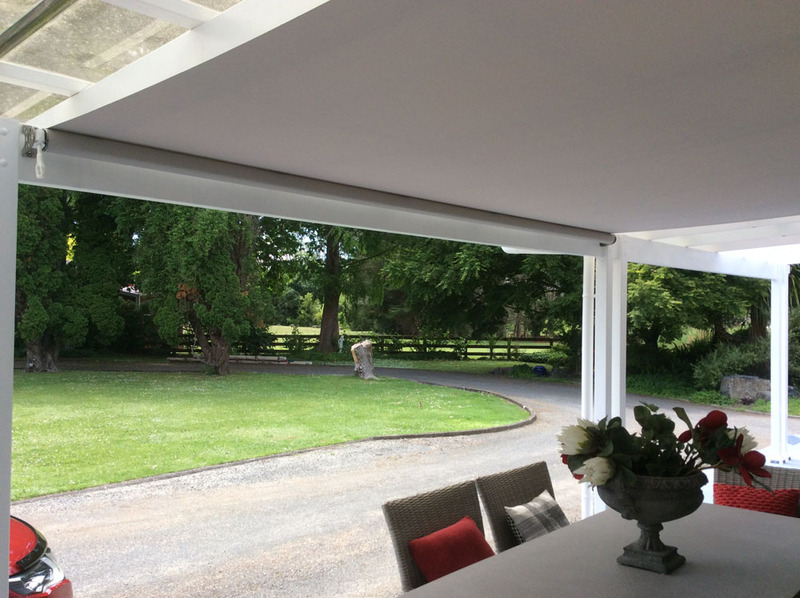 Using our range of high-quality fabrics we can design and fabricate a customised pergola cover, either fixed in place or on a retractable roller system to give you and your family protection from the hot Hawke’s Bay sun.